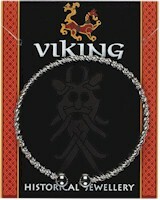 This twisted Viking bracelet is made from metal and is silver plated. It is supplied on a colour card with historical information on the reverse. Pewter Dragon Head supplied on a pin with clasp. The information on the reverse of the card explains who the Vikings were and why they were successful. A set of 5 original Elizabeth II coins held in clear blisters and mounted on a colourful card. The card front shows a Union Jack and the Royal Coat of Arms. The reverse tells the story of Elizabeth II and her coinage.